Nintendo Co.Ltd. is a Japanese multinational consumer electronics and software company and is one of the world's largest video game companies by net worth. Nintendo's Australian is a subsidiary based in Melbourne, Victoria. It handles the publishing, distribution, sales and marketing of Nintendo products in Australia, New Zealand, and Oceania. They manufacture some Wii games locally and is also a third-party distributor of some titles from Rising Star Games, Namco Bandai Games Europe, Atlus, The Tetris Company, Sega, Tecmo Koei Games Europe and Capcom Europe. We had assisted Nintendo AU in conceptual design and development of their promotional sites and overarching site strategy. While it moved across platforms and into the modern web space, the purpose of the website has evolved for the global entertainment brand. 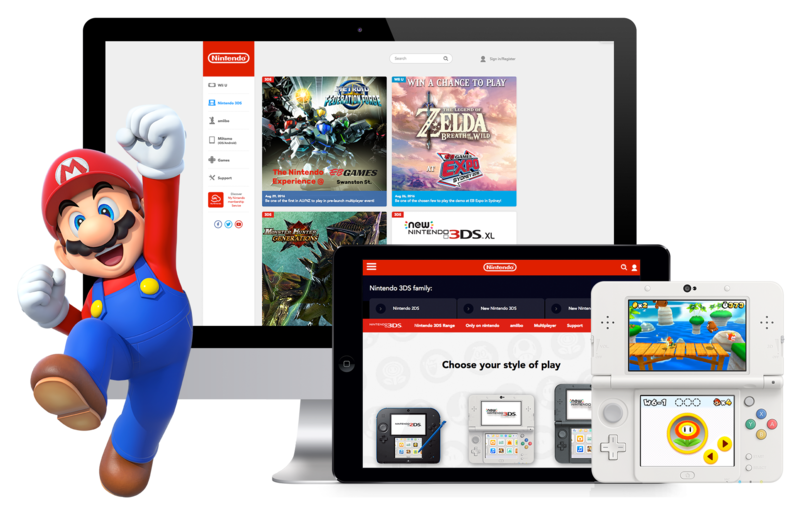 After the newly designed and developed Nintendo AU site, Wii U website, and Nintendo Games Eshop Hub launched, the company was able to attract web visitors looking for information, entertainment, or to transact with the global brand. It also enabled site visitors to access the websites from multiple devices. The responsive website allowed them to optimize their content that eventually increased Nintendo's sales and conversion rates, increased their visibility in search engines, and saved them time and cost on site management. Our team also contributed in the development of the company's e-catalogue. The e-catalogue had improved reliability of the site, updated the relevance of product data in circulation, eliminated time spent inputting product data for the staff, reduced non-quality costs relating to input errors, eliminated substantial cost reductions for data processing operations, and improved ordering procedures (e-procurement system).